Keto Cheesecake is a gluten-free, low carb cake that is super easy to make. 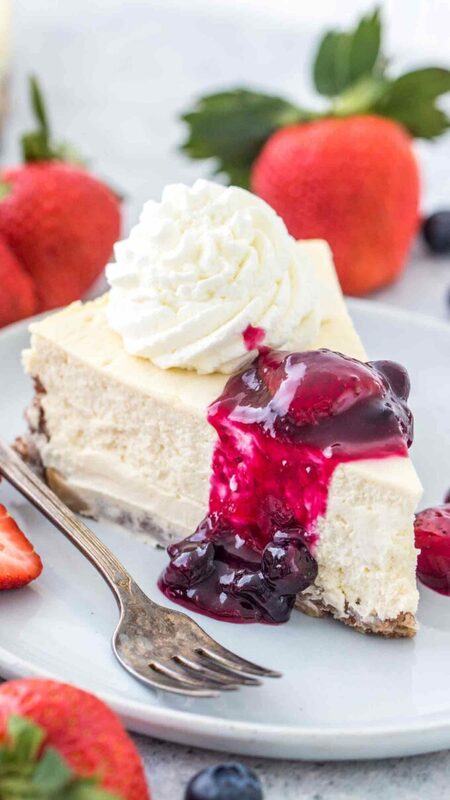 With ingredients like cream cheese, sour cream, and eggs, you will have a keto friendly cheesecake that is also sugar-free. A good cheesecake does not have to be full of sugar to be enjoyed. It can be healthy, and delicious like this keto version of it. You and your family will enjoy this easy and delicious sugar-free and homemade dessert. Also, once you get to love low carb keto recipes, you might just as well try the Keto Buffalo Shrimp Dip and the Keto Italian Chicken Skewers. Both recipes are just as delicious and perfect if you are trying to follow a low carb diet. Keto Cheesecake is a healthier version of the original, rich cheesecake that we always eat. This dessert is really delicious and healthy. The best part is that it’s sugar-free and low in carbs, something that you might not realize when you eat it for the first time. With ingredients like the cream cheese and eggs, this will still taste like real cheesecake, but it will just be healthier. The great thing about the keto cheesecake is that you can make one without a sugar crush, and one with a Keto crush. It depends on how you like your cake. Similarly, you can make different varieties of it, or top it with berries, which are naturally lower in carbs. Just remember, to still use keto-friendly ingredients. For a low-fat version, you can just use the low-fat cream cheese instead of the regular one. Can I eat cheesecake on a keto diet? Good news! Yes, you can eat cheesecake on a keto diet. You just need to find the right recipe. One that is a keto proof like this one. The thing that you should know is that the cream cheese and low-fat cream cheese is low-carb. This is ideal since it is the central ingredient for this recipe. 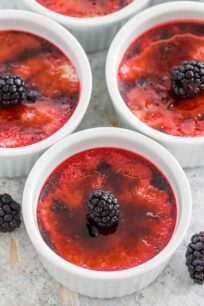 There are different recipes and good ideas for cheesecake on a keto diet. However, we believe that our recipe is very simple and one of the best, and we strongly suggest you give it a try! Is cream cheese ok to eat on a keto diet? Unlike most other cheeses, the cream cheese is one of the ingredients that you can use if you follow a keto diet. 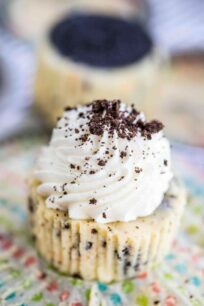 You will see that there are many keto recipes that are making use of full-fat cream cheese, fat-free, or low-carb cream cheese. This doesn’t mean that you can now use any cheese and think that this is a keto recipe. There are still some of the cheeses that are not usable with the keto diet. It is best to make sure that you know exactly what cheese you can consume when you are on this diet. Stevia – personally, I am not a fan of the after taste. Swerve – this is a brand name for Erythritol, my personal favorite. These are the top sweeteners that you can use while on the keto diet. You should try them and find the one sweetener that will be best and most tasty for you. Just remember that not all the sweeteners are automatically used in the keto diet. WHAT KIND OF PAN SHOULD I USE TO MAKE THE KETO CHEESECAKE? We love using a regular 10-inch diameter springform pan. You can use the 8-inch diameter pan as well. However, we love to use a bit larger pan as the cake is a bit bigger, which is perfect for a larger family. Also, the cheesecake looks more festive when it is bigger. There are a huge variety of low carb cheesecake crust recipes that you can use. The best flours to use on a keto diet are coconut flour and almond flour. Both are high in fiber and low in carbohydrates, so they are perfect to use in baked goods such as the keto cheesecake crust. Similarly, you can just make it without the crust. This will ensure that you are going to consume even fewer carbs. First, make sure it has fully cooled and also was refrigerated for at least 6 hours. Then, wrap it tightly with aluminum foil, and after with plastic freezer wrap, or place in a heavy-duty freezer bag. Similarly, you can also wrap and freeze individual slices. Make sure the filling ingredients are of room temperature. Do NOT over-beat the batter, always mix just until combined. Always use a spatula to scrape the sides and bottom of the bowl, it will help to get a smooth batter. Bake the cheesecake in a PREHEATED oven. Use a water bath when baking for the ultimate success. I describe it in detail in this post. Do NOT open the oven door when the cake is baking, the sudden temperature drop may make it sink. Similarly, do NOT remove it from the oven immediately after baking. Cool it with the oven door slightly opened for about 1 hour. Got cracks? No problem! Cover them with whipped cream or check this post where I describe in details how to fix cracks on a cheesecake. Keto Cheesecake is a gluten free, low carb cheesecake that is super easy to make. 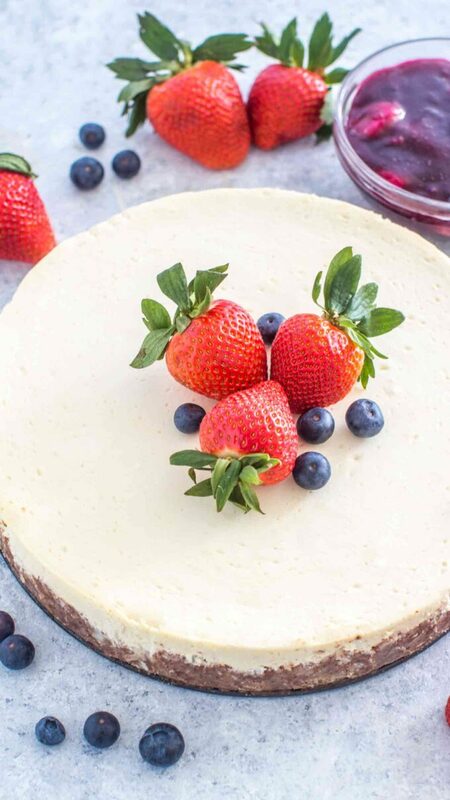 With ingredients like cream cheese, sour cream and eggs, you will have a keto friendly cheesecake that is also sugar free. Wrap the outside of a 10 or 10 1/2 inch springform pan in a double layer of foil. Covering the bottom and sides of the pan, only from outside. This will prevent the cheesecake from water leaking in. Spray the springform pan inside with baking spray and set aside. Add all the ingredients to a large bowl and stir until fully combined. Press the mixture into the prepared springform pan. Using a measuring cup or your fingers, press the crust and try to line the sides about 1 inch up. Make sure all the ingredients are of room temperature before your begin. In the bowl of a stand mixer or in a large bowl using a hand mixer, beat the cream cheese until light and fluffy on medium-low speed, for about 1 minute. Add sour cream and beat for another minute, stopping to scrape the sides and bottom of the bowl. Add the sugar and cornstarch and continue beating until well combined and creamy. Add the vanilla, and eggs one at a time and beat after each addition until just combined. Careful not to over-mix. Stop to scrape the sides and bottom of the bowl when mixing. Pour cheesecake batter into the prepared crust. Set the springform pan in a large roasting pan, that is deep enough to add water to it. Pour HOT water into the roasting pan, about half up the sides of the springform pan. Transfer to the preheated oven. Bake for 1 hour to 1 hour 20 minutes, until it only slightly jiggles in the center. I baked my cheesecake for exactly 1 hour and 20 minutes at 300 F.
Turn oven off, but leave the cake in the oven with the door slightly opened to cool slowly for an hour. Transfer cake to a cooling rack and take off foil. Run a butter knife around the edges to prevent cheesecake sticking to the sides. Cool for another 2 hours and transfer to the fridge to chill for 5-6 hours or better overnight. Place a medium sauce pan on the stove over medium heat. Add 1 cup of sliced strawberries and 1 cup of blueberries. Add water, lemon juice and vanilla extract. Add the sweetener. Stir and simmer for 4-5 minutes, crushing a few berries. If preferred to thicken the sauce more, mix 2 tablespoons of water with 1 teaspoon of cornstarch until cornstarch is fully dissolved. Add mixture to the sauce pan and stir until the sauce thickens. Remember that cornstarch has 7 carbs per 1 tablespoon, so if you want to cut on the carbs even more, you can skip this step. 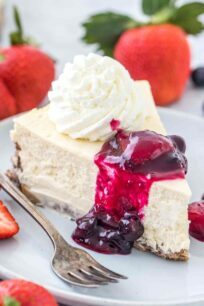 Slice cheesecake and serve with the Sugar Free Berry Sauce and Sugar Free Whipped Cream on the side. The Cheesecake has 11 grams of carbs per serving including the berry sauce, without the berry sauce you are looking at 8 carbs per serving. If you are looking for Net Carbs, deduct the Dietary Fiber 8 - 3 = 5 grams. The carbs are mostly coming from the crust and the optional berry topping. If you eat only the filling, its about 1 gram of carbs per serving. Looks like a delicious recipe for those on KETO. A great dessert to freeze for those moments when there is no time to bake. This does look delicious. I do love my cheesecake. I’m not on the Keto diet since I love carbs so much, but I would still try this! I was doing low-carb back in the day when it wasn’t popular and everyone was against it, including many doctors. I’m glad they’ve come to their senses and I wish all these Keto recipes had been around back then. Your cheesecake looks absolutely amazing. it’s a must make for sure! I just printed out this recipe and can’t wait to try it. We love sweets in our home and a healthier version of cheesecake is a must. My sister is on a keto diet. I have to share this recipe with her. She’s a huge fan of cheesecake. I know she would love this recipe. Cheesecake is one of my very favorite desserts. Your recipe here came out looking fantastic! A low carb cheesecake sounds amazing! I can’t wait to make this. OM nom nom. This cheesecake recipe sounds super yummy and I love that it’s ow carb! I need to try this ASAP! 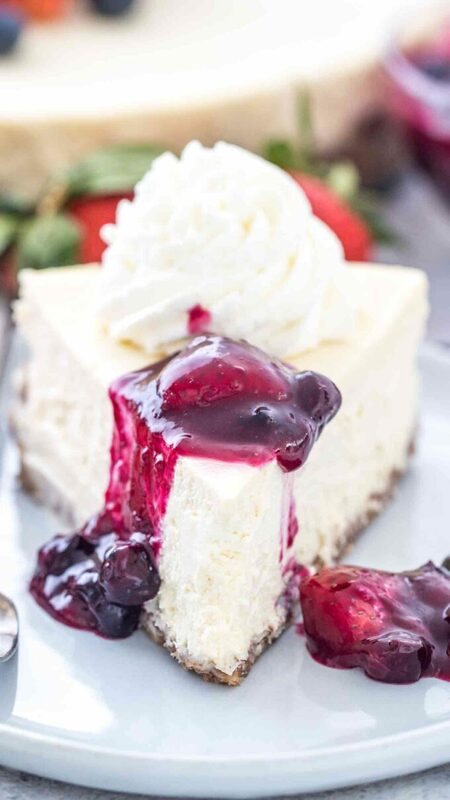 Now this sounds like a cheesecake I need in my life! I had no idea you could do a keto friendly cheesecake I am 100% learning something new everyday. I have seen so many people on the keto diet lately! This low carb keto cheesecake is sure to be really popular. This looks delicious! And it’s keto? Great recipe! I could go for a slice or two of this cake right now. This looks and sounds amazing!! I’m getting ready to start Keto and I have such a sweet tooth it’s ridiculous! I love the idea of enjoying this low carb keto cheesecake! It sounds delicious and I LOVE Cheesecake. Saved the recipe! Can’t wait to try it! I’ve started Keto recently and can’t wait to try this one out! Looks delish!! How would you make the crust without the coconut? 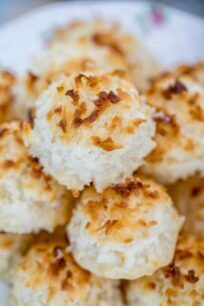 I don’t eat coconut so that is the only thing that is stopping me from making this great recipe! I LOVE cheesecake! I’m definitely giving this recipe a try now haha thank you! Thank you for the feedback Bruce!! How many slices are there for the serving size in a 10 inch cheesecake? In the instructions for berry sauce it says ‘add lemon juice’ but this wasn’t listed in ingredients. Just wondering how much? Can’t wait to try! !